IKYTA presents Gurudakshina, an album of eleven mantras for meditation in classes or at home for IKYTA members. This unique album was crafted by IKYTA artists and teachers from around the world. Each brings their own distinctive voice, with sounds inspired by the energy of their community and culture. Download and enjoy this inspiring collection of mantra music for your classes. Composer and singer, Agochar plays the guitar and her celtic-vintage harpe. 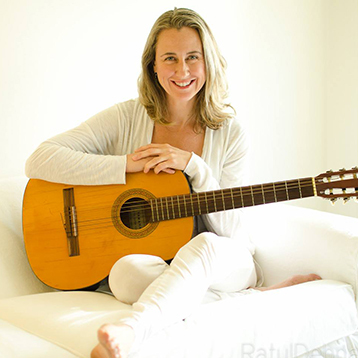 Somos Uno is her third album of Kundalini Yoga mantras combining harmoniously classical and modern instruments. She has participated in several festivals and yoga workshops. Her last album SOL was composed with her partner, Shabad Simran Singh, and was published in 2016. Born in the US, raised in Canada and based in Newport, Rhode Island, US, Andi Flax is a singer and songwriter drawn to the healing and expressive power of the human voice. A classically-trained vocalist and dancer, Andi later discovered the practice of Kundalini Yoga and the science of sacred sound vibration (mantra), which has helped her consciously move through the blocks to allow her to express her highest creative potential, using her dynamically radiant voice. 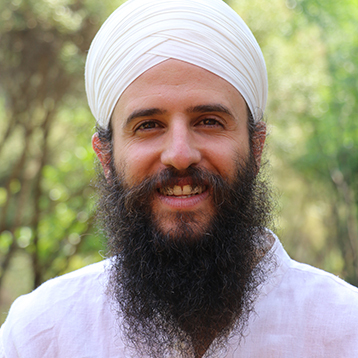 Gurujodha Singh is a Lead Mentor and Level 1 and Level 2 Teacher Trainer for the Kundalini Research Institute. Originally from Italy, he is now based in Mexico, where he lives with his family and runs a vibrant yoga school and community. He is currently involved in Teacher Trainings in Latin America and Asia and serves as United Nations Representative for the NGO 3HO International. 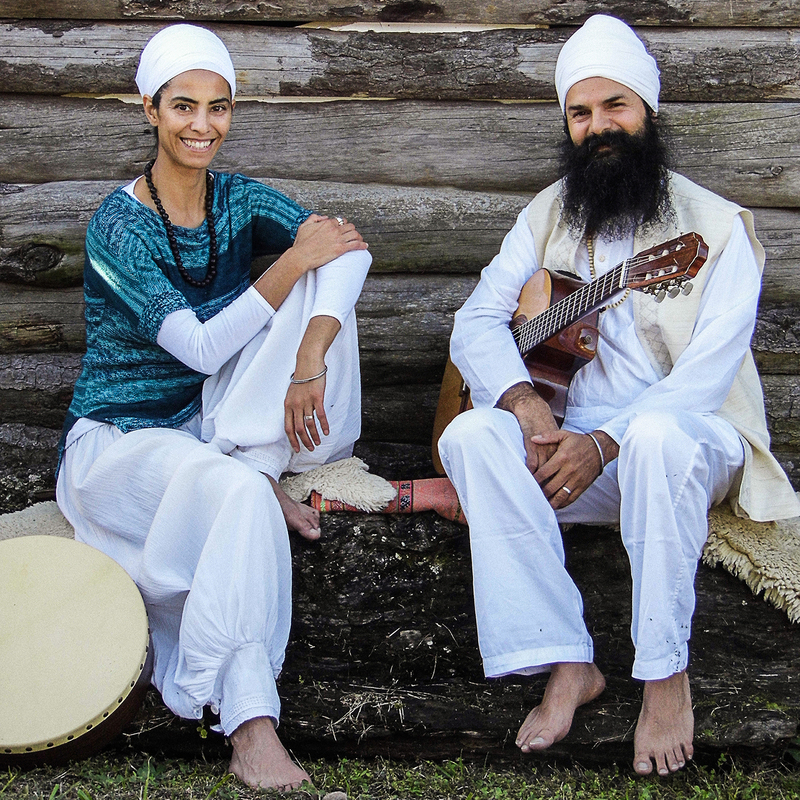 Cousins Guru Shabad Kaur (singer) and Sat Nam Singh (professional musician, and gong player), are both certified Kundalini Yoga teachers and artists. They started playing together in 2007, and in 2009 oriented their musical projects exclusively to mantras and devotional music, officially forming 'Naad Yatra.' The meaning of 'Naad Yatra' reflects their spiritual path through the experience of sound and its technology and their deep desire to share music as a tool for elevation and healing. Both reside in Salta, Argentina, their birthplace where they live with their families. Har Dayaal is the spiritual name of both Annki and Klas Landahl, a devoted married couple living in Stockholm, Sweden. They are musicians and Kundalini Yoga teachers that passionately share yoga, meditation and music in many different contexts. 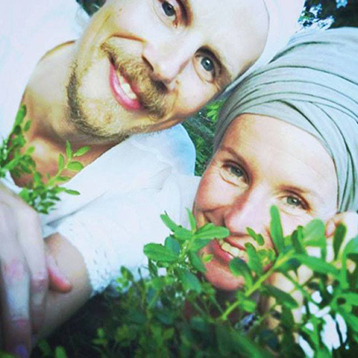 They run the studio, Stockholm Kundalini Yoga Center, where they have regular classes, workshops, and music events. They are also Teacher Trainers and run Level 1 Teacher Training Courses in Sweden and Norway. Jai Kartar is a singer-songwriter of soulful and tender sacred songs and music from the UK, now living in The Netherlands. She has created two albums, Golden in 2011 and Beloved in 2014, both are expressions from the deep, with a feeling and tenderness that will touch your heart. Jai, through life’s early experiences, was given the ability to feel into the depths of her emotions, although challenging initially, it began through music to find its resonance and with her second album, was able to offer words from that place, offering a richer experience and authenticity. 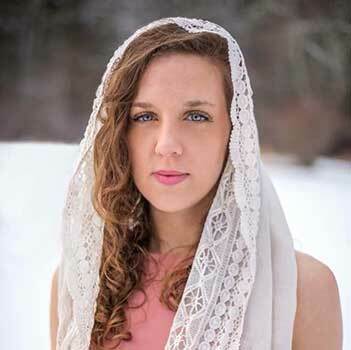 Sarah studied jazz piano and vocals at college and takes this love of jazz, latin grooves, folk and electronic music and marries it with her love of mantra and the Naad. She did her Level One Kundalini Yoga certification in 2006 in New Mexico where she was inspired to create her first Kundalini mantra CD, Love and Light, which she released in 2009. She has recently collaborated with Krishan Khalsa and the renowned DJ Adham Shaikh in Canada to create a new Aquarian sadhana album called, Santiago Sadhana to be released in the spring of 2018. 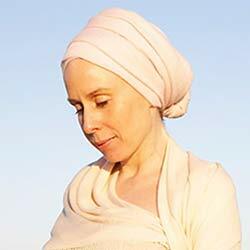 Sat Avtar/Jamie Crowley is an international Kundalini Yoga teacher and musician. She is a classically trained vocalist, actress, DJ, and performer. Sat Avtar’s rave-reviewed debut album, The Voice of an Angel, embodies a remarkably mature, deeply experienced devotional energy and a musical craft worth noting for a first release written and co-produced by the singer herself. Satwant Kaur grew up in Northern Canada, surrounded by forests and rivers and wide open spaces. Sound and communication have long been an interest for her, she studied speech and language therapy and has worked in this field for over 15 years. There was always music in her house growing up. 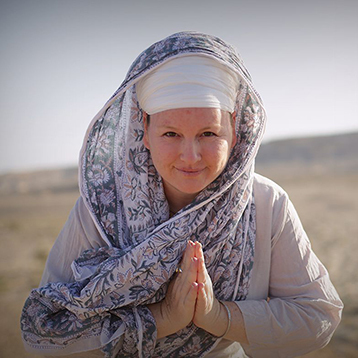 One of the things that most attracted her to Kundalini Yoga and Sikh Dharma was the importance of sound and everyone joining in to create a vibration. 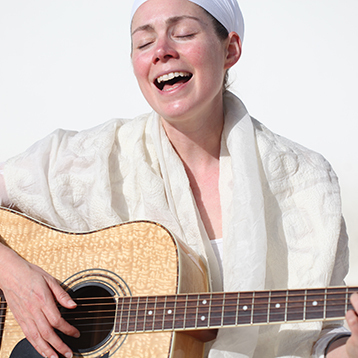 She has played kirtan around the UK and Europe, and taught workshops on developing the Teacher’s Voice. Sat Puran studied and explored different styles of music, starting with classical western from a young age, and then continued studying Indian classical singing and Gurbani Kirtan. 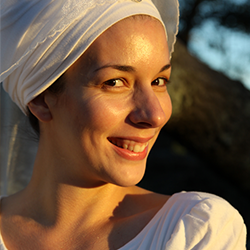 Sat Puran is a Kundalini Yoga teacher and trains new teachers in Europe and Israel. She is a practicing evolutionary astrologer, consultant and teaches internationally. 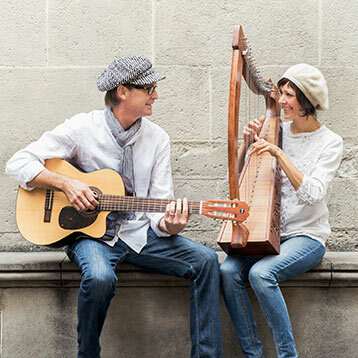 The German musician couple Shakti & Shiva belongs to the youngest enrichments of the spiritual music scene. In 2015 they released their first joint album Dance and Meditate. Their music's variety of timbres reflects the cosmic play of female (Shakti) and male (Shiva) polarities. "As an indication that we all represent in us both the female and the male energy of the Universe, their music, on the one hand, offers powerful and dynamic expression that invites directly to join in, sing along and become active. The gentle, devoted and calm side of being is achieved through the special harmony of its voices and sound works and unites in the divine dance of Shakti and Shiva." Giving Gurudakshina is an expression of gratitude for the privilege we share of being teachers of Kundalini Yoga. Yogi Bhajan asked teachers to give back a portion of class income, from all classes based on the teachings of Yogi Bhajan to IKYTA, in order to achieve greater prosperity. Your Gurudakshina donation supports the work of IKYTA and the Yogi Bhajan Library of Teachings. This page is viewable by IKYTA members only. If you are an IKYTA member, please log in to access this page. Members get full access to all benefits, website content and a teacher profile online. Click here to learn more.